Advances in computer and communication technology steadily increase the possibilities of dynamical systems interacting via networks. Control of such cyber-physical systems requires explicit consideration of networking aspects and the resulting dynamics of the interconnected agents. Recent achievements in the engineering sciences and in computer and communication technology lead to more complex and large-scale cyber-physical systems comprising multiple dynamical systems interacting with each other. Some of the most prominent examples are smart grids, automated highway systems, and smart factories (Industry 4.0). In order to handle, analyze, and design such network systems, a systems theoretic framework is required and appropriate control methods need to be developed. With our research, we contribute to the development of a control theory for network systems. We investigate the interplay of the dynamics of the individual systems, the coupling between the systems and their communication protocols. The goal is to derive structural conditions and develop distributed control laws guaranteeing consensus, synchronization, stability, and satisfying desired performance criteria. Please find below all our recent research fields at the Institute for Systems Theory and Automatic Control referring to Networked Dynamical Systems. Networked Control Systems are systems where the control loop is closed over a packet based communication system. Unfortunately, such a packet based communication system introduces packet loss and delay. Consequently, in the field of Networked Control Systems, the challenge is to find a controller that stabilizes the system despite packet loss and delay. At the IST, we work towards having a more detailed view of the communication system and taking these details into account when designing the controller. This research direction within the field of Networked Control Systems is motivated by the observation that the communication system is build by engineers too, i.e., it can be optimized to support the control specific requirements. When designing a communication system, there are many trade-offs, e.g., between the offered load, its traffic pattern, and the resulting loss and delay. Hence, we work on methods to take these tradeoffs into account when designing the controller. in Proc. 16th IEEE Annual Consumer Communications and Networking Conference (CCNC) – 1st IEEE Workshop on Cyber-Physical Networking (CPN2019), Las Vegas, NV, USA, 2019, pp. 1 - 6. S. Linsenmayer and F. Allgöwer. in Proc. European Control Conf. (ECC), Limassol, Cyprus, 2018, pp. 1474-1479. Stabilization of networked control systems with weakly hard real-time dropout description. in Proc. 56th IEEE Conf. Decision and Control (CDC), Melbourne, Australia, 2017, pp. 4765-4770. S. Linsenmayer, D. V. Dimarogonas, and F. Allgöwer. A non-monotonic approach to periodic event-triggered control with packet loss. In Proc. of the 55th IEEE Conference on Decision and Control (CDC), Las Vegas, NV, USA, 2016, pp. 507-512. R. Blind and F. Allgöwer. On the Optimization of the Transport Layer for Networked Control Systems. at-Automatisierungstechnik, Vol. 61, No. 7, pp. 495-505, 2013. In "Industrie 4.0", the focus is on optimizing the interconnection of devices and plants in order to improve the efficiency and productivity of factories. With today‘s advancements of technologies, mainly in information and communication technology, computational units and network interfaces can be integrated in more and more machines. This allows for novel structures in the factories of the future. The long-term goal is to create flexible structures which can adapt to required and unforeseen changes. At first glance it may seem that the many visions developed during the project Industrie 4.0 do not require control theoretic considerations. Yet it is not clear whether existing control concepts can cope with the flexible structures of the arising industrial networks. Therefore, we analyze the concepts of Industrie 4.0 and derive mathematical models which can be analyzed using methods from systems and control theory. Based on a deeper understanding of the underlying problems, the scientific foundation for the discussion on Industrie 4.0 can be enriched and control theoretic methods enhanced to clear the way to the smart factory of the future. Industrie 4.0 – (R)evolution ohne Regelungstechnik? Industrie 4.0 - (R)evolution without Control Technologies? Solving optimization problems using a group of agents, each capable of interchanging information over a communication network, has become an important area of research. Distributed optimization problems arise in many applications such as optimal power dispatch problems in Smart Grids, distributed Machine Learning or formation control of small mobile robots. Existing algorithms solving these problems often have quite limiting requirements on the problem class as well as the communication structure, e.g., consensus-type problems or undirected information flow. In our research we focus on the development of new approaches to distributed optimization, both in continuous- as well as discrete-time, which are applicable to a large class of constrained optimization problems under mild assumptions on the underlying communication network as well as the problem structure. In particular, we employ primal-dual algorithms for centralized convex optimization and use Lie bracket approximation techniques to derive distributed approximations thereof. S. Michalowksy, B. Gharesifard, C. Ebenbauer. A Lie bracket approximation approach to distributed optimization over directed graphs. C. Ebenbauer, S. Michalowsky, V. Grushkovskaya, B. Gharesifard. Distributed Optimization over directed graphs with the help of Lie brackets. In Proc. of the 20th IFAC World Congress, Toulouse, France, 2017, pp. 15908-15913. Bahman Gharesifard, Queen's University, Kingston, ON, Canada. 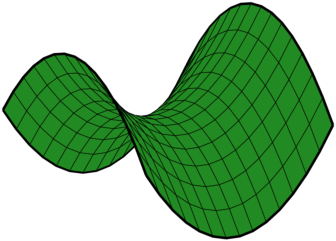 In synchronization problems, one is usually concerned with sufficient conditions for coupled differential equations to converge to the so-called synchronization manifold. When these sufficient conditions are not met, then, usually, the systems converge to a neighborhood of the synchronization manifold. In practical synchronization, we are able to render this neighborhood arbitrarily small. This applies when the systems are subject to parameter uncertainties, disturbances, or drift. J. M. Montenbruck, M. Bürger, and F. Allgöwer. Practical Cluster Synchronization of Heterogeneous Systems on Graphs with Acyclic Topology. In Proc. of the 52nd IEEE Conference on Decision and Control (CDC), Florence, Italy, 2013, pp. 692-697. J. M. Montenbruck, G. S. Seyboth, and F. Allgöwer. Practical and Robust Synchronization of Systems with Additive Linear Uncertainties. In Proc. of the 9th IFAC Symposium on Nonlinear Control Systems, Toulouse, France, 2013, pp. 743-748. Decentralized and distributed estimators have gained attention since decentralized control appeared in control theory in the 1970s. In a distributed estimator setup, multiple estimators create an estimate of the system’s state, while cooperating with each other. As a result, cooperation reduces the effects of model and measurement disturbances. Also, the situations are not uncommon where every single estimator is unable to obtain an estimate of the state on its own and cooperation becomes an essential prerequisite. Our project deals with the development of a new framework for distributed state estimation for large-scale systems. In large-scale systems, scalability of the system is important, i.e. the dimension of the local estimators should not increase with the total size of the system. For instance, this is relevant for multi-agent systems, where the agents are not able to perform self-measurement, but only receive relative information. Our goal is to design a distributed estimation setup, where local estimators only reproduce local state variables and their complexity does not grow with the total size of the system. Cooperation between the local estimators will be crucial due to possible lack of local detectability, therefore calling this setup Cooperative Estimation. Moreover, we investigate on estimator performance with respect to model and measurement disturbances. Jingbo Wu, and Frank Allgöwer. Verteilte Ausgangsregelung linearer Multiagenten Systeme mit gekoppelten Messgrößen. AT-Automatisierungstechnik, vol. 64/8, pp. 645-657, 2016. JingboWu, Valery Ugrinovskii, and Frank Allgöwer. Cooperative H-infinity-estimation for large-scale interconnected linear systems. In Proc. American Control Conference, pages 2119-2124, Chicago, IL, USA, 2015. DOI: 10.1109/ACC.2015.7171046. Jingbo Wu, Li Li, Valery Ugrinovskii, and Frank Allgöwer. Distributed filter design for cooperative H-infinity-type estimation. In Proc. IEEE Conference on Control Applications (CCA), pages 1373-1378, Sydney, Australia, 2015. DOI: 10.1109/CCA.2015.7320803. This research project is dedicated to the study of cooperative control problems in groups of dynamical agents. In a variety of modern man-made systems, it is desirable to synthesize a cooperative behavior among individual dynamical agents by distributed control laws. Examples include multi-vehicle coordination or formation flight problems, robot cooperation in production lines, as well as power balancing in micro-grids, and many more. Even though this area has become one of the major research fields within automatic control over the past decade, there are still many open questions and unsolved problems. In this project, the focus is on heterogeneous multi-agent systems, i.e., cooperative control problems in groups of agents with non-identical dynamics. This project shall contribute to the development of a cooperative control theory for heterogeneous multi-agent systems consisting of non-identical dynamical agents. The goal is to reveal and explain fundamental effects of non-identical agent dynamics on the behavior of a distributed system and to develop suitable analysis and synthesis methods for such multi-agent coordination problems. G. Seyboth and F. Allgöwer. Output Synchronization of Linear Multi-agent Systems under Constant Disturbances via Distributed Integral Action. In Proc. of the American Control Conference (ACC), 2015. Chicago, IL, USA, 2015, pp. 62-67. G. Seyboth, D.V. Dimarogonas, K.H. Johansson, P. Frasca, and F. Allgöwer. On Robust Synchronization of Heterogeneous Linear Multi-Agent Systems with Static Couplings. Automatica 53, 2015, pages 392-399. G. Seyboth, J. Wu, J. Qin, C. Yu, and F. Allgöwer. Collective Circular Motion of Unicycle Type Vehicles with Non-identical Constant Velocities. IEEE Trans. Control of Network Systems, 1(2), 2014, pages 167-176. Dimos V. Dimarogonas and Karl H. Johansson, KTH Royal Institute of Technology, Stockholm, Sweden. Changbin (Brad) Yu and Jiahu Qin, ANU Australian National University, Canberra, Australia. Paolo Frasca, University of Twente, Enschede, The Netherlands. Wei Ren, University of Riverside, CA, USA. We study and develop distributed algorithms to solve optimization problems over asynchronous and unreliable communication networks. The focus of our research is on algorithms that do not use a central memory or computational unit, but use only a peer-to-peer comunication. Our goal is to provide computational tools, that support a distributed decision making and control in real-time enviroments. We have developed distributed variants of Simplex and Cutting-Plane methods, and we have shown the applicability of our methods to a variety of problems, including multi-agent assignments, robust optimization problems or robust predictive power management in smart grids. M. Bürger, G. Notarstefano, and F. Allgöwer. A Polyhedral Approximation Framework for Convex and Robust Distributed Optimization. IEEE Transactions on Automatic Control, Vol. 59, No. 2, pp. 384-395, 2014. M. Bürger, G. Notarstefano, F. Bullo, and F. Allgöwer. A Distributed Simplex Algorithm for Degenerate Linear Programs and Multi-Agent Assignments. Automatica, Vol. 48, No. 9, pp. 2298-2304, 2012. D. Zelazo, M. Bürger, and F. Allgöwer. A Finite-Time Dual Method for Negotiation between Dynamical Systems. SIAM Journal on Control and Optimization, Vol. 51, No. 1, pp. 172-194, 2013. Network systems are dynamical systems composed of several sub-systems, which interact via the exchange of information and/or material over a network. Such network systems appear in various different fields, including cooperative robots, transportation networks, flow and distribution networks (data, gas, electricity, ...), or biological networks. We develop control and coordination algorithms for network systems using an input-output perspective. In particular, we use variations of the passivity concept, to design distributed controllers that ensure a reliable and optimal operation of the network systems. In addition to the synthesis aspects, our research has a strong analytic component. For example, we provide an analytic connection between classical network optimization theory and modern cooperative control. In addition, our results turned out to be useful for the analysis of complex emergent behaviors, such as cluster synchronization. M. Bürger, D. Zelazo, and F. Allgöwer. Hierarchical Clustering of Dynamical Networks Using a Saddle-Point Analysis. IEEE Transactions on Automatic Control, Vol. 58, No. 1, pp. 113-124, 2013. Duality and Network Theory in Passivity-based Cooperative Control. Automatica, Vol. 50, No. 8, pp. 2051-2061, 2014. M. Bürger, C. De Persis, and F. Allgöwer. Optimal Pricing Control in Distribution Networks With Time-varying Supply and Demand. In Proc. of the 21st International Symposium on Mathematical Theory of Networks and Systems (MTNS), Groningen, The Netherlands, 2014, pp. 584-591. Synchronization in an oscillator network describes the effect that the interaction between a set of oscillators, which are nonlinear systems with stable periodic orbits, leads to asymptotically common oscillatory dynamics for the individual oscillators. A typical example of synchronization in an engineering system is the synchronization of generators in an electrical power network. Synchronization in oscillators network can then be investigated by analyzing the stability or attractivity of specific solutions in the mathematical models. The focus of our research in this area concerns the stability analysis of synchronous solutions in specific system classes and the development of new methods to investigate synchronization with the help of Lyapunov like functions. G. S. Schmidt, C. Ebenbauer, and F. Allgöwer. Synchronization conditions for Lyapunov oscillators. In Proc. of the 49th IEEE Conference on Decision and Control (CDC), Atlanta, Georgia, USA, 2010, pp. 6230-6235. G. S. Schmidt, A. Papachristodoulou, U. Münz, and F. Allgöwer. Frequency synchronization and phase agreement in Kuramoto oscillator networks with delays. Automatica, Vol. 48, No. 12, pp. 3008-3017, 2012.